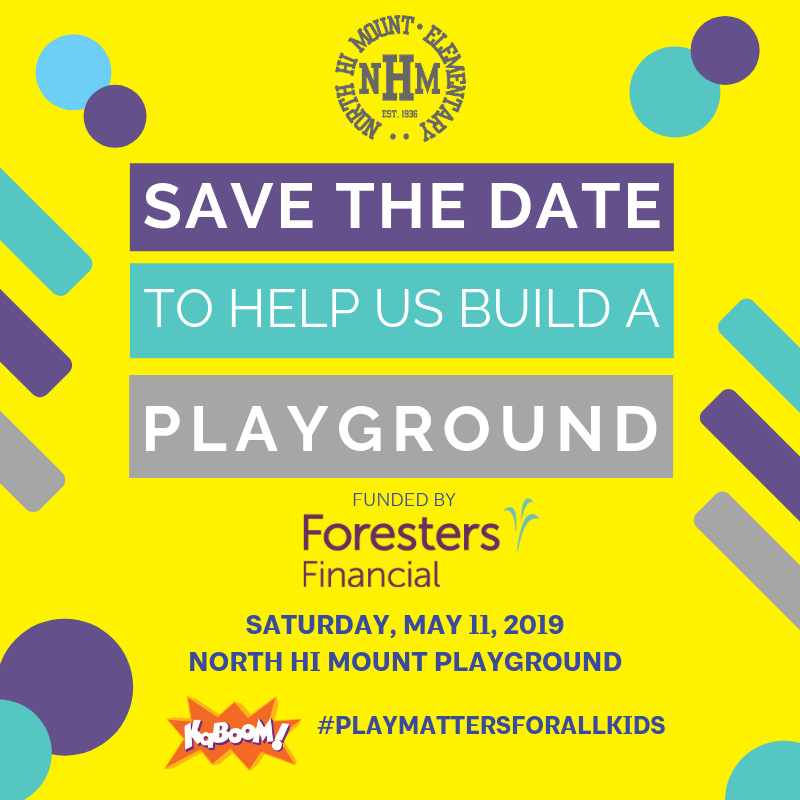 Thanks to our amazing funder, Foresters Financial, and KaBOOM!, North Hi Mount is getting a new playground on Saturday, May 11, 2019. Do you want to help build it? Please fill out this form and we’ll send you the signup link as soon as it’s ready. Watch the students reactions when we told them they were getting a brand new playground.